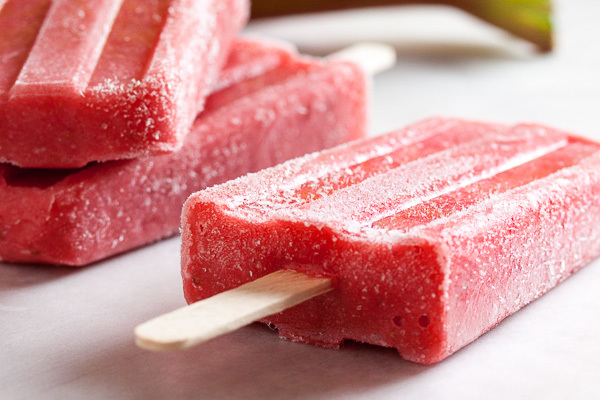 I hope you’re not all sick of popsicle recipes yet, because it’s just too hot to be making much else right now. And I hope you’re not sick of hearing about our amazing farmer’s market, because I’m still going every weekend. And every weekend it’s the inspiration for what I end up making. Right now it’s all about the berries – every stall has tables loaded full of baskets of blueberries, strawberries, raspberries and blackberries. I’ve been buying lots of all of them, eating a few fresh (they’re great added to salads! ), and freezing most of them to use in my morning smoothies and muffins. And of course making lots and lots of popsicles. 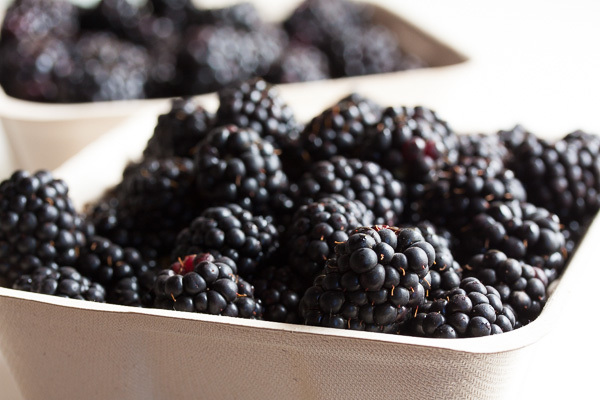 This weekend we’re taking advantage of the beautiful plump blackberries. I think all berries pair well with citrus flavours (hold that thought – I’ve got more blackberries and some definite plans for them), but blackberries work really well with honey, too. Guess what – I even got the honey at the farmer’s market! 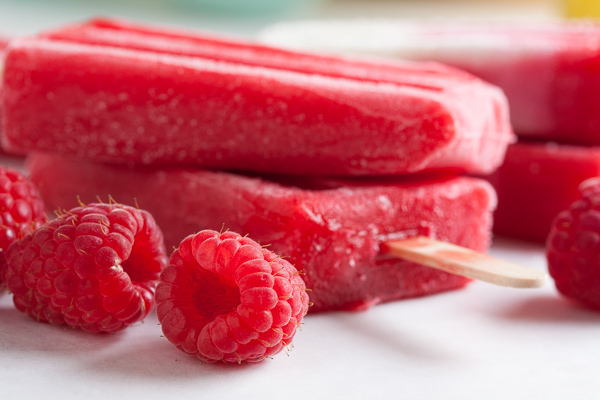 And for this popsicle, we’re also pairing them with tangy yogurt for a creamier treat. So tart blackberries, sweet honey, and tangy yogurt. Sound good? Trust me, it is! 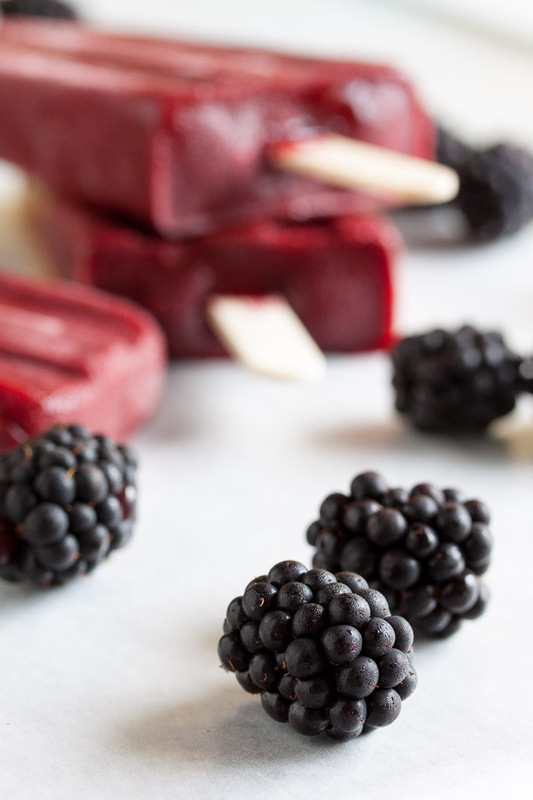 Adapted from "Blackberry, Yogurt & Honey Popsicles" from People's Pops by Nathalie Jordi, David Carrell & Joel Horowitz. 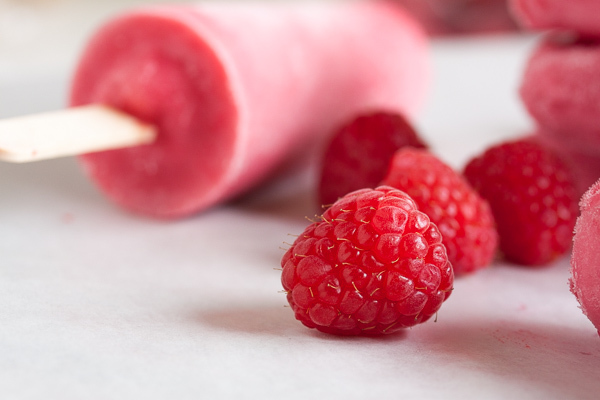 Makes just over six 3-ounce popsicles. I think I got 7-1/2 out of this recipe. Combine the blackberries and lemon juice in your blender and purée. 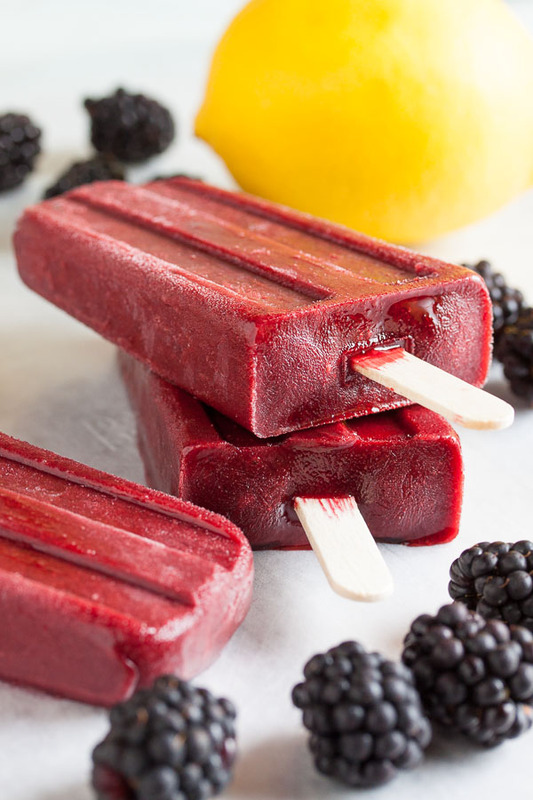 Strain this liquid through a sieve or a food mill – I don't mind seeds in an all-fruit popsicle, but this popsicle should be smooth and creamy. Discard the seeds. Add the yogurt and honey, and whisk until all ingredients are combined. Add the sugar syrup gradually, tasting as you go – you may not need to use all of it. But remember, you actually want this mixture to be on the sweet side – a lot of that sweetness is lost after freezing. And if you can't taste the honey, you can add a bit more. Trust your senses. It's tough to say exactly how much sweeteners you'll need when you're working with fresh fruit!